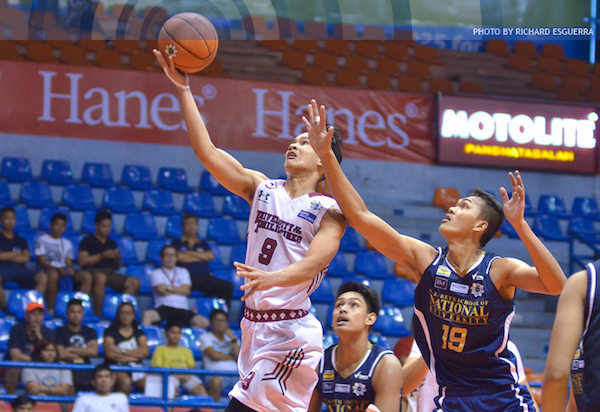 Justine Baltazar delivered another monster performance as National University moved within two victories of claiming an outright Finals berth with a 70-54 crushing of UP Integrated School yesterday in the UAAP Season 78 Juniors’ Basketball Tournament at the Filoil Flying V Arena. 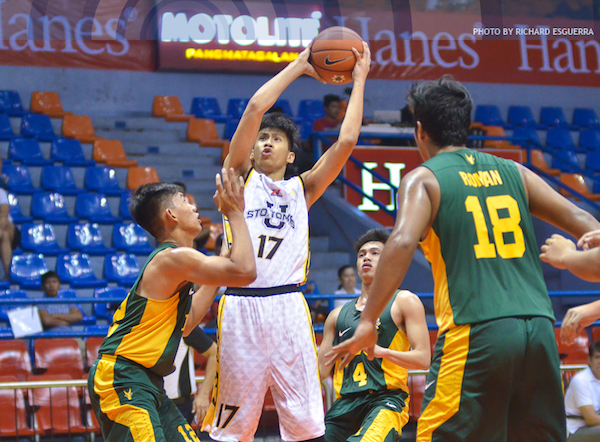 Baltazar, one of the leading contenders for the season MVP honors, had another double-double effort of 13 points and 19 rebounds as the Bullpups streaked to their 12th straight win. 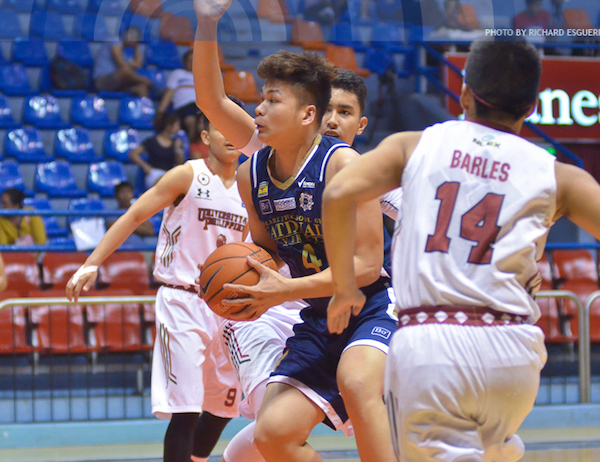 Seeking to regain the crown it won two seasons ago, NU will play winless University of the East on Wednesday before wrapping up its elimination round stint against De La Salle-Zobel on Saturday at the same venue. 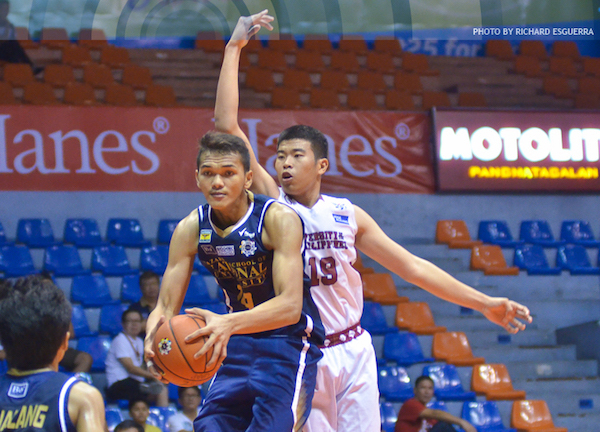 Juan Gomez de Liano drives strong against NU. Justine Baltazar beats Will Gozum to the rebound. 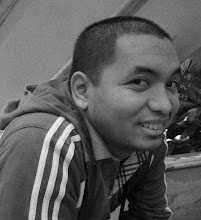 Karl Penano splits the UPIS defense. Speaking of DLSZ, Aljun Melecio came through with 22 points, 6 rebounds, and 5 assists as the Junior Archers assured themselves of a playoff for the twice-to-beat semifinals incentive with a 110-64 whipping of the Junior Warriors. The Greenies moved up to 10-4, still holding a two-game cushion ahead of defending champion Ateneo, a 82-73 winner over Adamson, in the race for the coveted No. 2 seed in the playoffs. The Eaglets were paced by Jolo Mendoza, who tossed in 16 markers while Shaun Ildefonso added 15 points and 16 rebounds as the Blue & White notched their eighth win in 12 starts, while dealing the Baby Falcons’ semis aspirations a huge blow. 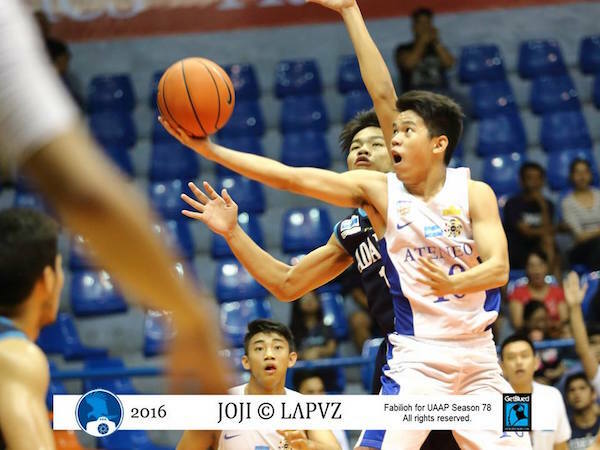 RV Berjay also did well with 14 points for Ateneo, while Jose Antiporda and Jayson Celis combined to score 31 markers for the Baby Falcons, who led by as many as 16 points before succumbing to Ateneo’s last ditch rally. 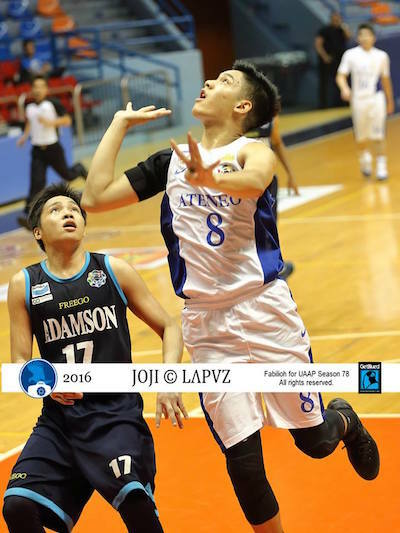 Jolo Mendoza goes for the acrobatic shot against Adamson. 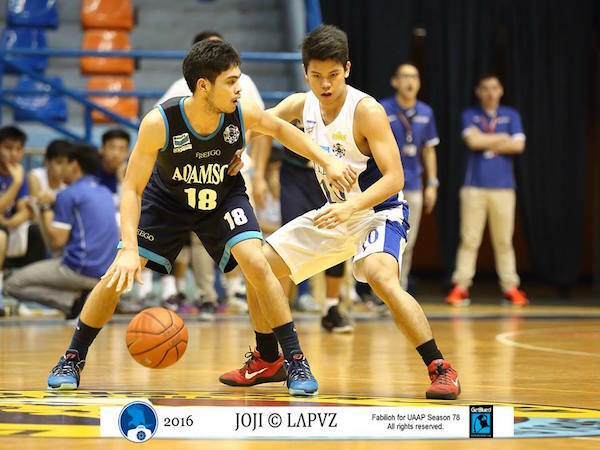 Jose Antiporda tries to put the move on Jolo Mendoza. RV Berjay has blossomed into a solid big man for the Eaglets. 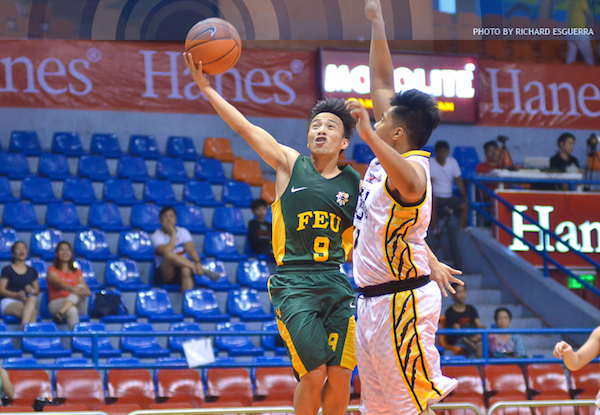 Far Eastern University-Diliman, meanwhile, moved a game ahead of Adamson in the race for the last Final Four slot with an 86-66 thumping of University of Santo Tomas. 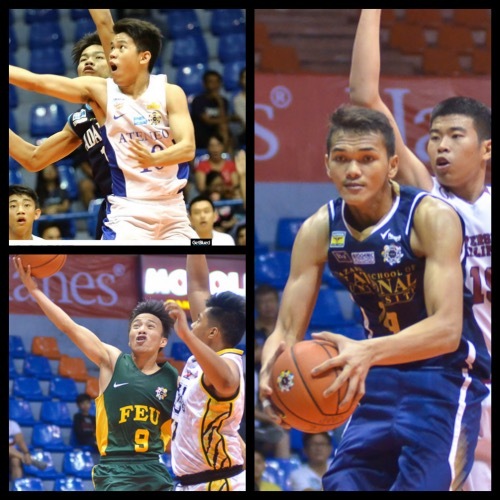 Jun Gabane, Eric Jabel, and Xyrus Torres each tallied a dozen points for the victorious Baby Tamaraws. Batang Gilas pool big man Kenji Roman also impressed with 16 rebounds for coach Mike Oliver. On the losing side, Carl Lacap was the lone bright spot for UST with 13 points. 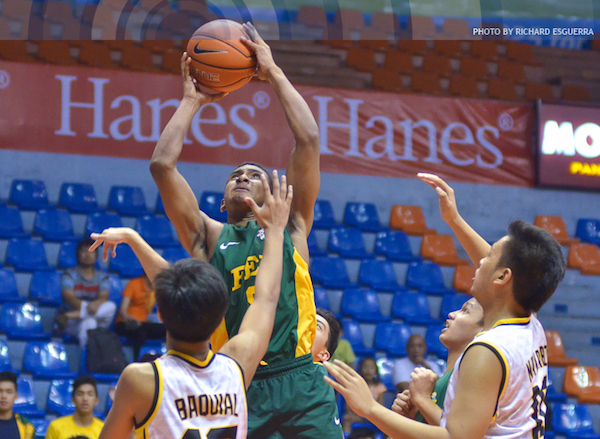 Jack Gloria tries a power move in the paint for FEU. Jun Gabane goes up strong against UST. Miguel Ratuiste rises for the inside stab against the Baby Tamaraws. Unless otherwise specified, all images are by Richard Esguerra/ABS-CBN Sports. Minor clarification - the "Greenies" are from LSGH, while DLSZ have the "Archers."